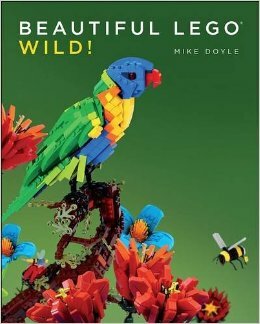 Upon arriving back home from our trip, we found a copy of Beautiful LEGO: Wild! in the mailbox. It was an incredibly exciting book to receive, as you might imagine. We enjoyed Beautiful LEGO, (linked to review), the first in this series of books by Mike Doyle. 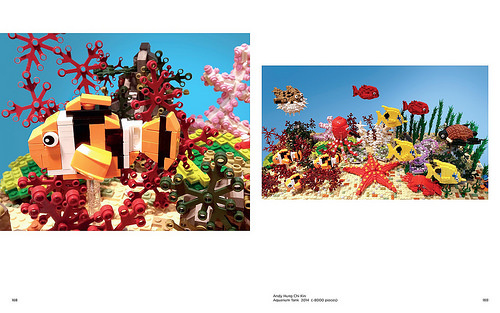 While that one was set to blow your mind, our family really found Beautiful LEGO: Wild! to be more engaging. If you or yours love LEGOs (or perhaps the word 'obsessed' is more accurate?) you'll be interested in checking out this title. We truly loved love it. Bookworm1 (age almost 9, unbelievably!) really enjoys building his own sets now, as opposed to pre-packaged ones. Of course, he has no objections to building a new set but his manner of collecting LEGOs has gone from just being "plain" fun to looking out for particular pieces by which he hopes to improve his own models. It really has been very fun as a parent to see him gathering his own ideas and building things from his own imagination. We all loved the bright, colorful, cheerful images and landscapes. We've sat and devoured the book from cover to cover, each member picking out the creations that we liked the best. The first section contains of a lot of original creations from Lord of the Rings which are quite spectacular. Loved the ones with Rivendale and waterfalls. All amazing! This title was definitely a delight for all ages. I do not suffer any hesitation in recommending this title wholeheartedly to any other lovers of LEGOs. Sock this title away for Christmas gift giving, if you don't think it's too early to begin planning for that! This book is really so, so much fun! Many thanks to No Starch Press for sending a copy of the above title in order to facilitate a review. I received no additional compensation and all opinions are my very own. Wow, those are neat! My kids have not been into Legos as much as I expected, though they play with them sometimes. They both prefer the kits to open-ended play, usually. Looking forward to hearing more about your big trip! Our botanical garden had a Lego exhibit earlier this year, with huge Lego sculptures thriughout yhe garden. Neat! @Amy - That would be hugely popular in our household. I imagine it was also in yours!! So fun! 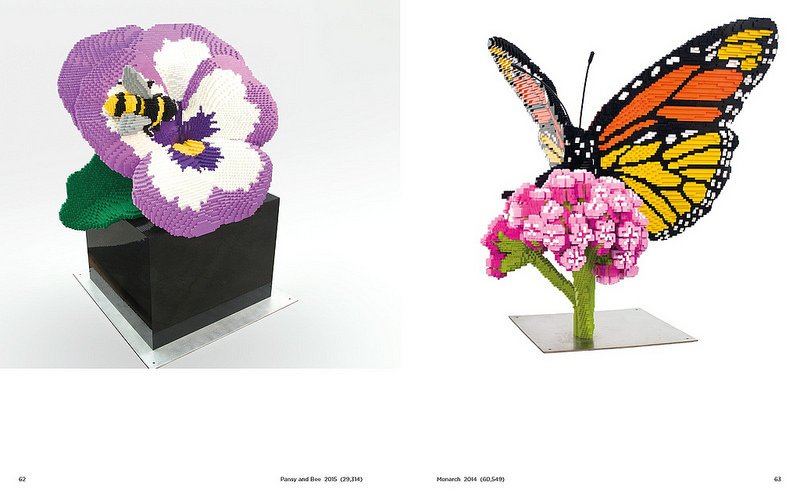 @Bluerose - Yes, there are certain times that I think I might JUST enjoy LEGOs more than the kids. It's incredible to me that there's a toy that has stood the test of time and remains enjoyable to the whole family. LEGO is such a fascinating concept.